There’s just something about that new car smell and a gorgeous, sleek design that drives a new car buyer wild. But buying a new car can;t be left up to looks alone; you’ve got to think practically. Gas prices are climbing, and are set to continue. Any new auto buyer needs to go into the car shopping experience with fuel economy in mind. The good news is that 2016’s line-up features a great selection of vehicles to get the best bang for your buck; both short- and long-term. 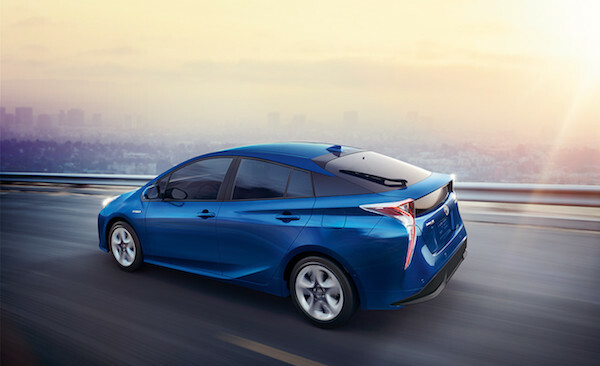 Prius introduced their most fuel-efficient version to date with the Eco. The Prius Eco boasts an 11.3 gal tank, which will only cost you about $27 to fill up. Not only is the Eco the most fuel efficient decision, it’s also the most affordable. A new car buyer can expect to save over $4,000 during their first 5 years owning an Eco, in gas costs alone (www.fueleconomy.gov). Although the V doesn’t match Eco’s outstanding 56 mpg, it’s not far behind. 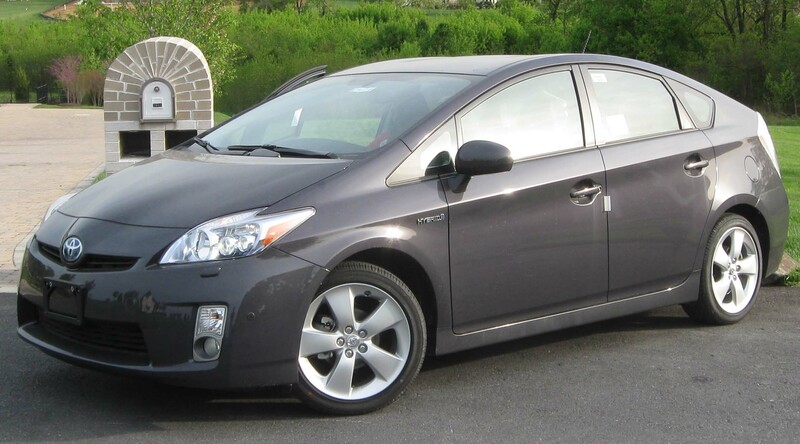 Auto buyers may find that trading those extra miles is well worth the spacious, updated interior of the Prius V. Look to spend an average of $850/year on gas, as it will only take you about $28 to fill this 11.9 gallon tank. VW really meets demand with 2016’s Jetta Hybrid. Its 1.4L, 4-cylinder hybrid turbo engine gives auto buyers the best of both worlds: great mileage without inhibiting performance. The 11.9 gallon tank can be filled up for under $40, with an average total range of 524 miles. Scion’s newest sub-compact addition is a great choice for a new car buyer. This fun and sporty 4-door comes standard with a 1.5L, 4 cylinder engine and automatic transmission, and tons of features. At 42 highway mpg and 429 estimated miles per tank, you don’t have to worry about packing a ton of cash for a road trip; it will set you back less than $30! 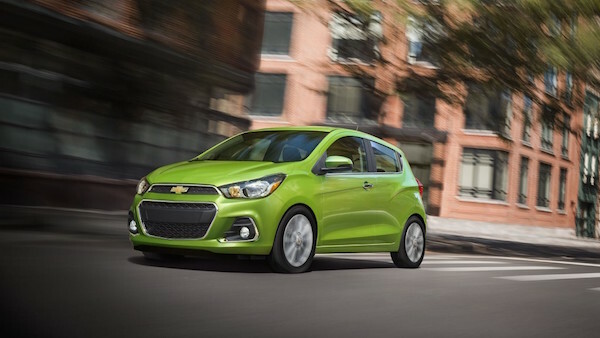 Chevy gave its mini-car a complete overhaul for 2016. Chassis, engine, interior: 2015’s specs are out, and Chevy has impressed with the new model. New car buyers can expect to get a little more get-up-and-go with a 1.4L, 4-cylinder engine, offering 98 hp. Although it won’t be winning any major racing competitions, zipping around town while it sips gas won’t be a problem here. It is also good to note that filling the Spark’s 9.0 gallon tank will only cost you about $21. Looking at the long-term, you can expect to save about $2,250 on fuel costs vs. the average 2016 vehicle (www.fueleconomy.gov). Ford raises its bar all-around with 2016’s Ford Fusion Hybrid. Fuel economy is impressive for a midsize sedan, Ford boasts a robust 42 mpg combined, and driver reviews have reported anywhere from 45-48 mpg (www.edmunds.com). You can expect to spend an average of $850 a year on fuel costs, which is a savings of $3,000 over 5 years in relation to other 2016 vehicles. You don’t have to worry about giving up performance with the Fusion Hybrid, it’s 2.0L 4-cylinder engine produces 188 hp and 129 ft-lbs. of torque.